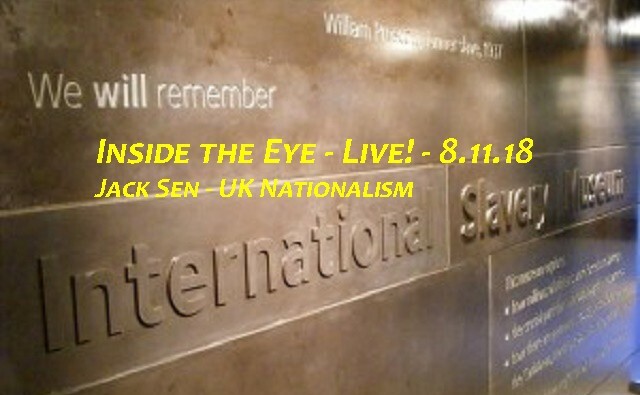 Jack Sen - British Nationalism | Inside the Eye - Live! 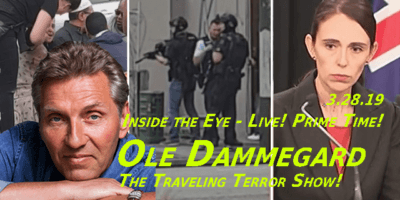 Jack Sen, host of Resistance Radio, appeared on Inside the Eye – Live! to discuss the current state of United Kingdom politics. 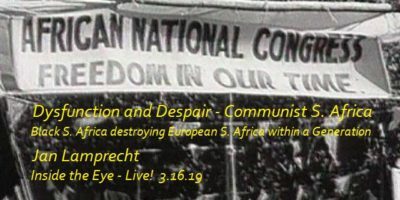 The general tone of the discussion centered around the lack of opposition to the current Zionist Occupied Government across the United Kingdom. An interesting story raised was a museum called “The International Slavery Museum”. Upon touring the museum, Jack noticed that Israel’s role in the slave trade was conspiculously missing. Even more glaring, the Barbary Slave Trade and Muslim involvement in the slave trade was also missing. Jack ended up having the police called on him when he began asking questions. Upon investigating, Jack learned that the curator of the museum is a Jewish guy with a degree in “race relations” who received millions of British pounds of financing from Jews and the British government that, for all intents and purposes, is a propaganda facility to spread anti-White and anti-British propaganda. The Jewish run museum did not mention the British navy’s role in helping to end the slave trade, nor did the museum mention any of the Jewish run slave ships that led the trafficking of humans in what was the trans-Atlantic slave trade. All in all, a good interview. The Youtube video has been flagged for “potentially recruiting for terrorist organizations” and “spreading hate”. The sheer idiocy of Jews hounding projects and lying through their teeth, complaining and whining to Youtube and other social media companies for literally no real solid reason reminds us that the real enemy to the West is our Jewish population which seems intent to create a dictatorial class over Western civilization. The video is mirrored at Bitchute, although it is still available sitting behind a content disclaimer firewall at Youtube.